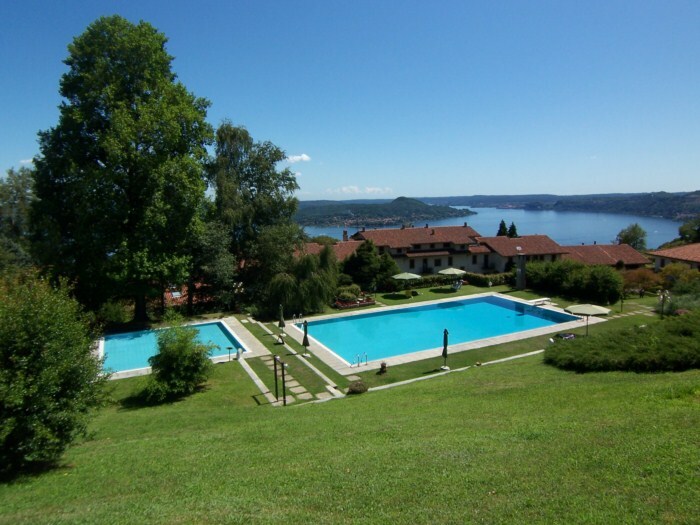 The Residence Pian di Lesa was built in the 1970s within grounds of 40,000m² and has two swimming pools and a gatehouse along with an all year round caretaker. 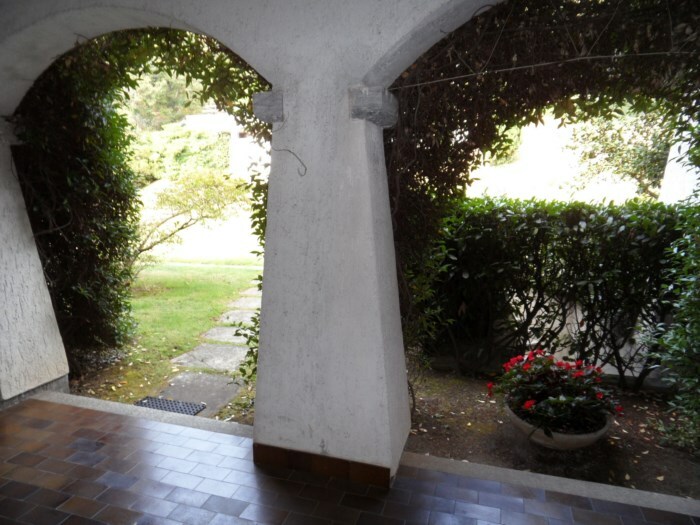 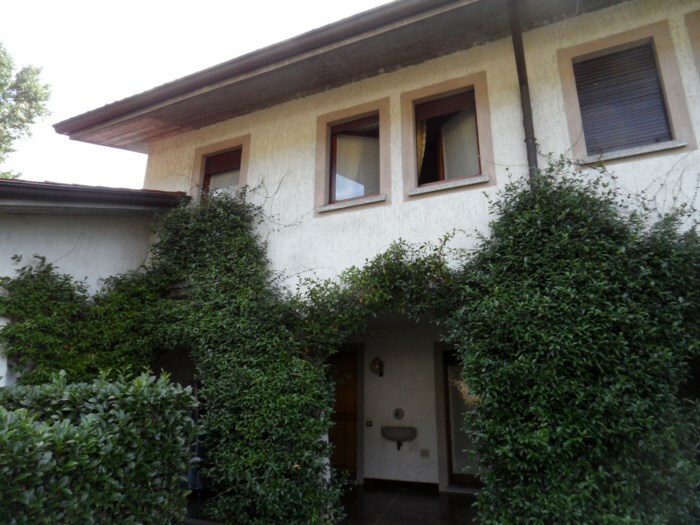 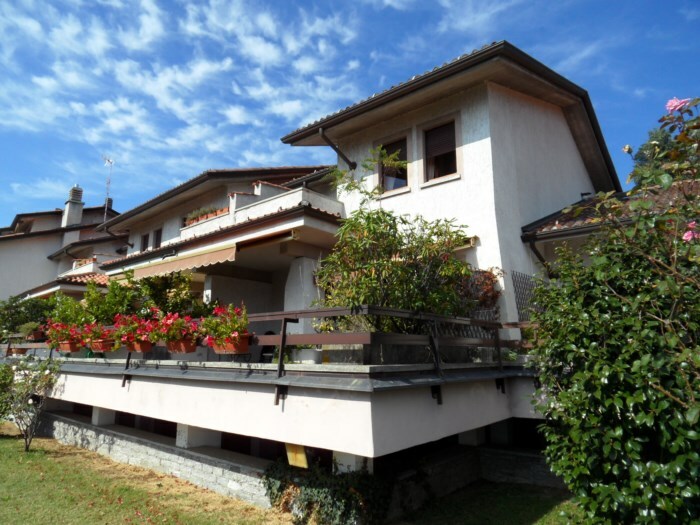 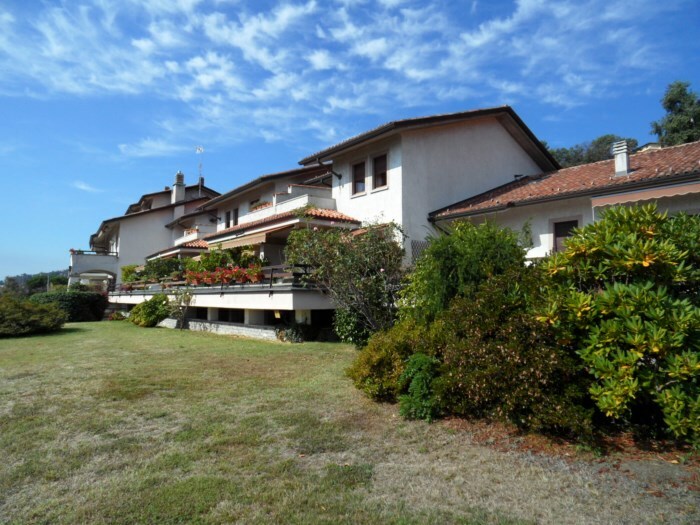 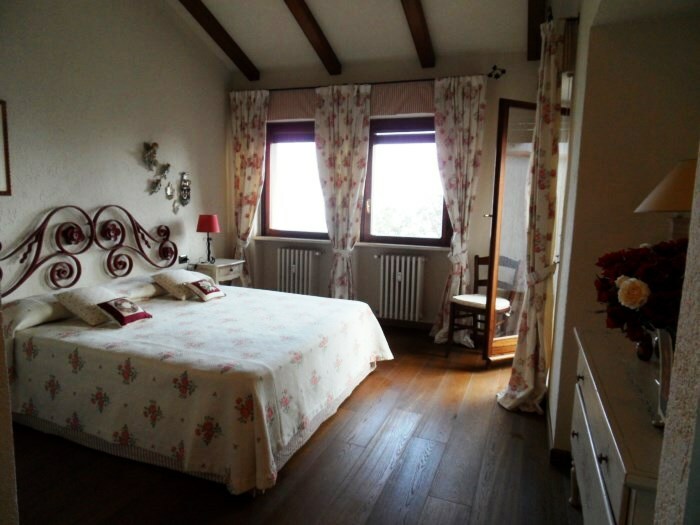 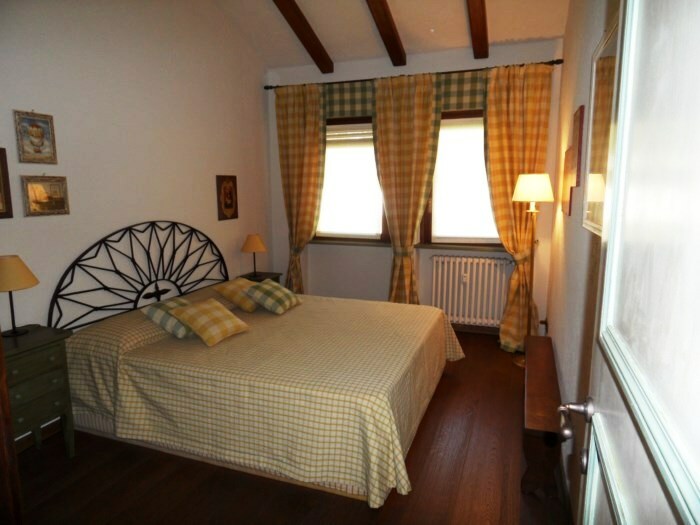 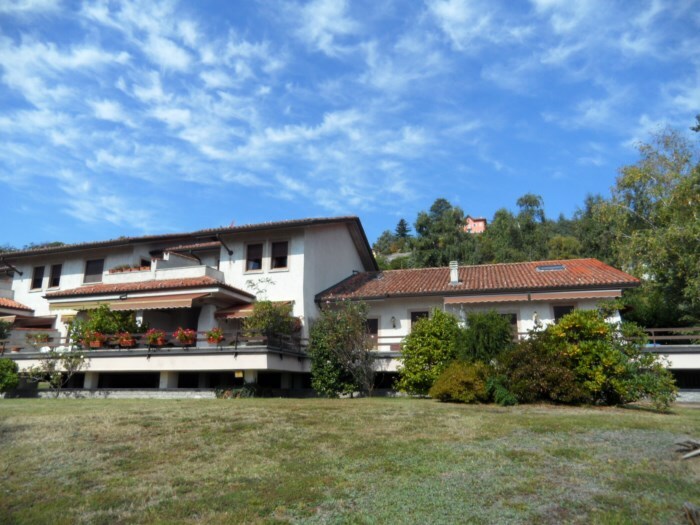 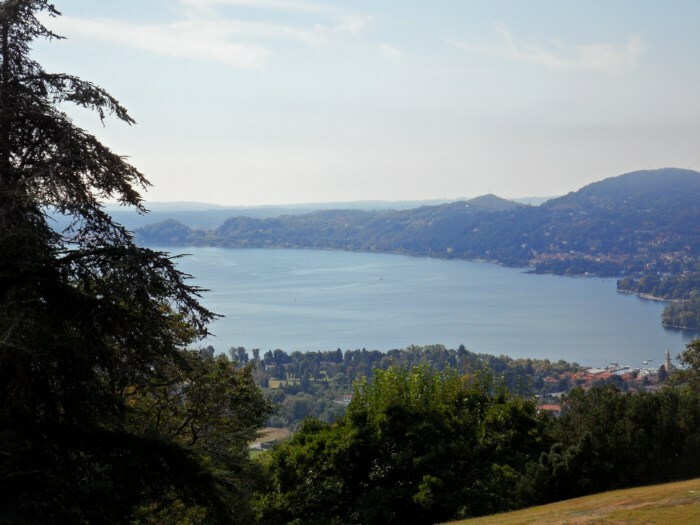 It is situated along the panoramic road that joins Lesa with Comnago, close to the motorway exit of Carpugnino and the Golf Club “des Iles Borromees”, only 3 kilometres from the lake front. 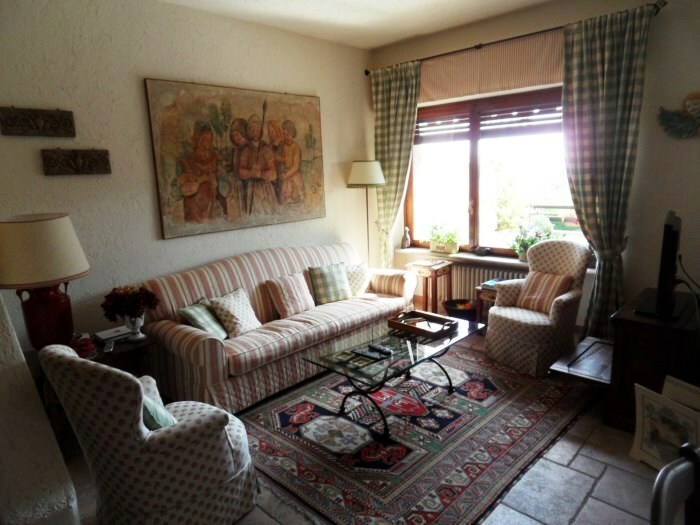 The 150 sqm apartment was completely renovated a few years ago. 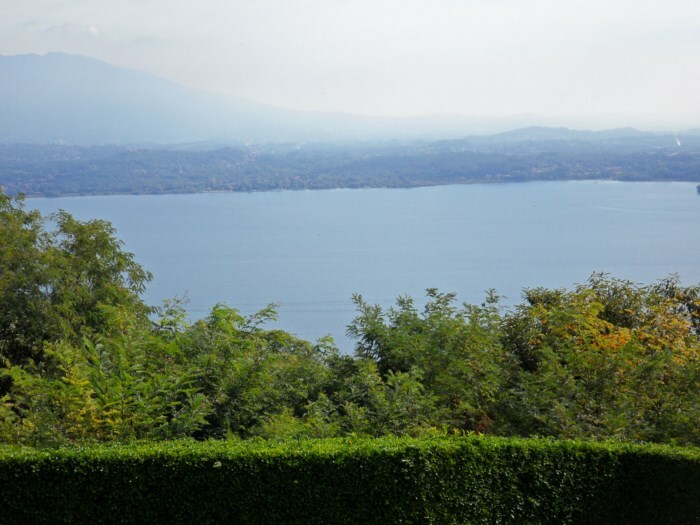 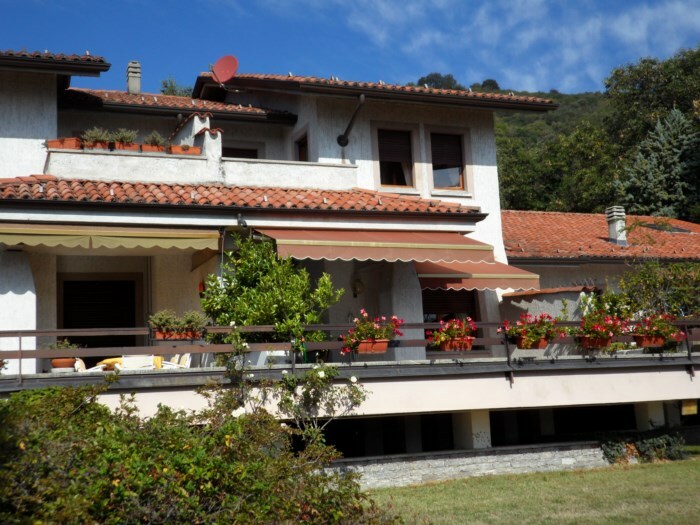 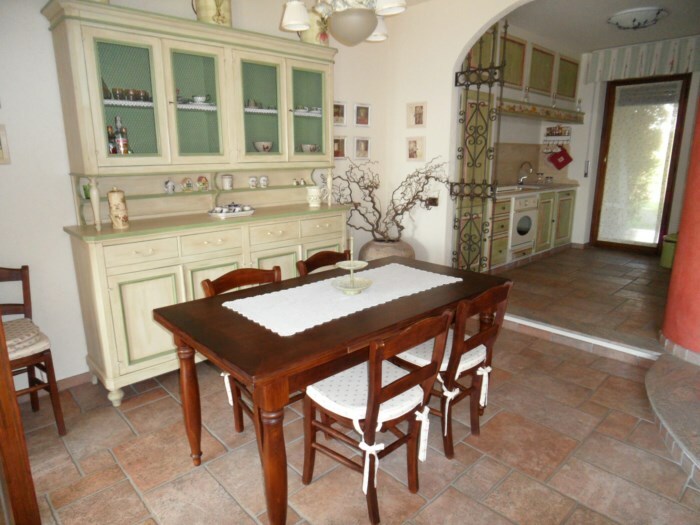 It is laid out over two levels with a 30 sqm terrace overlooking the lake. 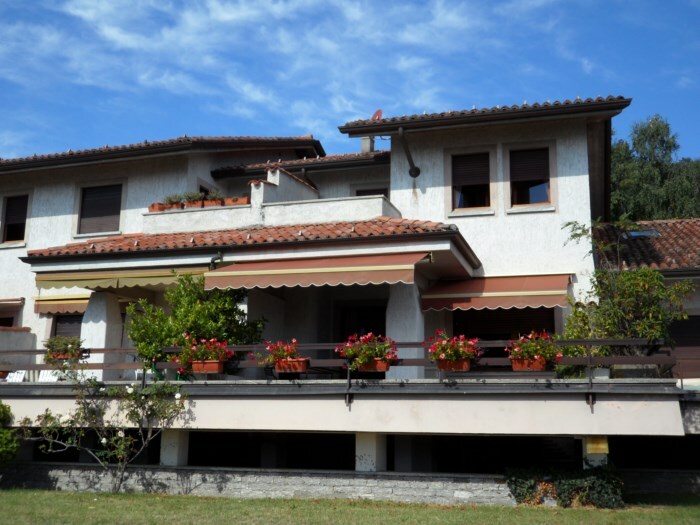 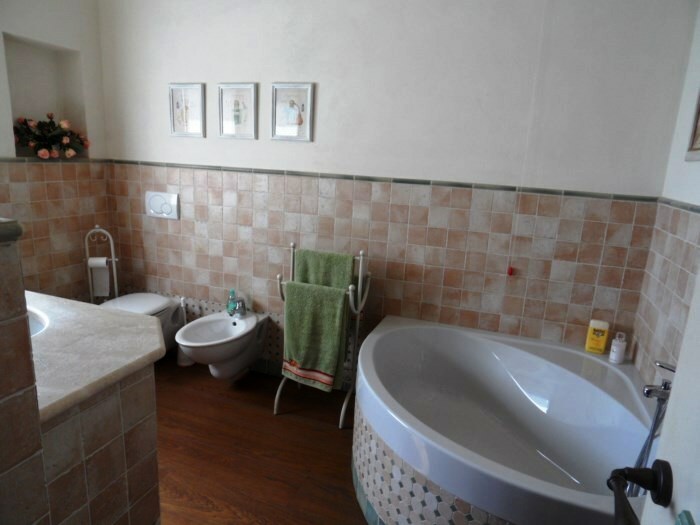 The apartment consists of entrance hall with a large private porch of almost 20 sqm, living room, kitchen and a bathroom on the ground floor, staircase leading to first floor consisting of two bedrooms, a bathroom, and the main bedroom with lake view terrace of about 10 sqm and a private bathroom. 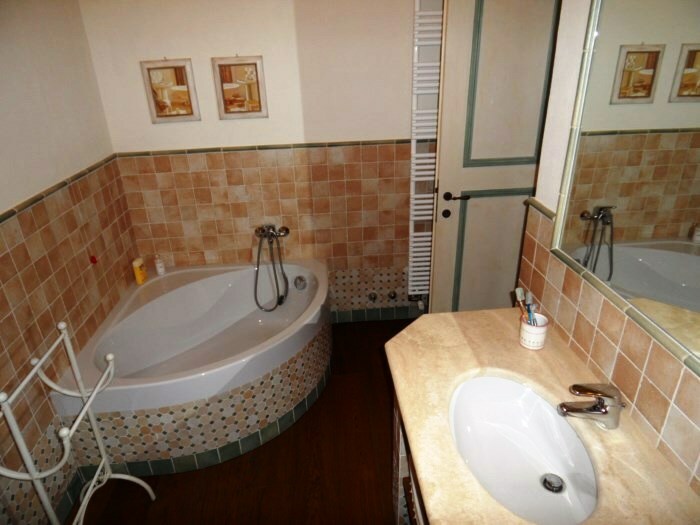 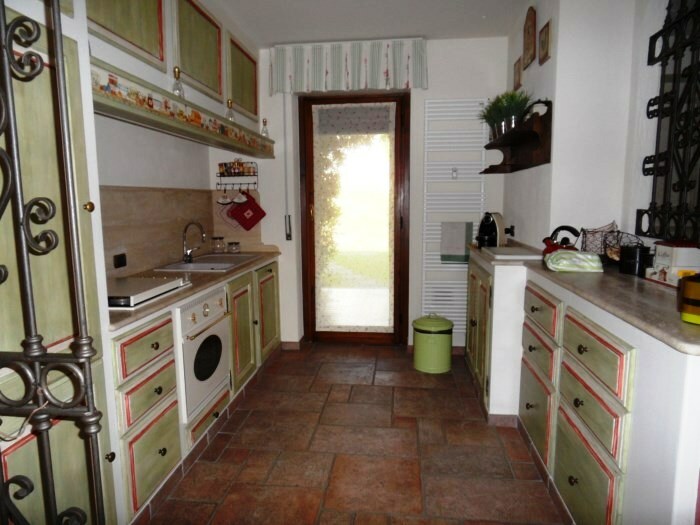 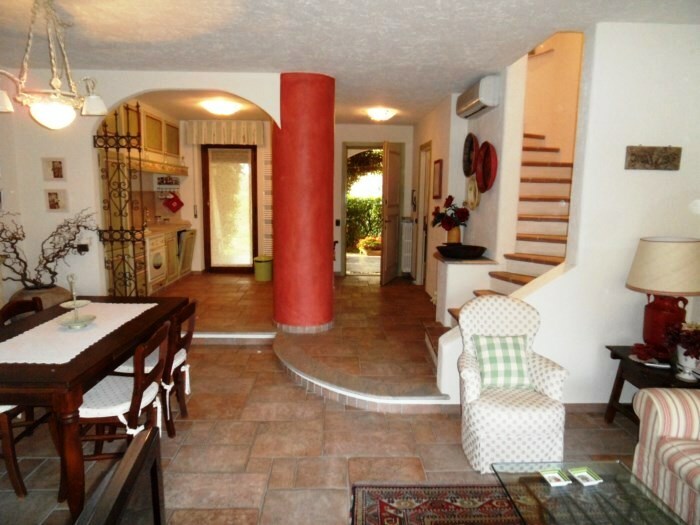 In the basement a cellar and covered parking spaces of 30 sqm enough for two cars. 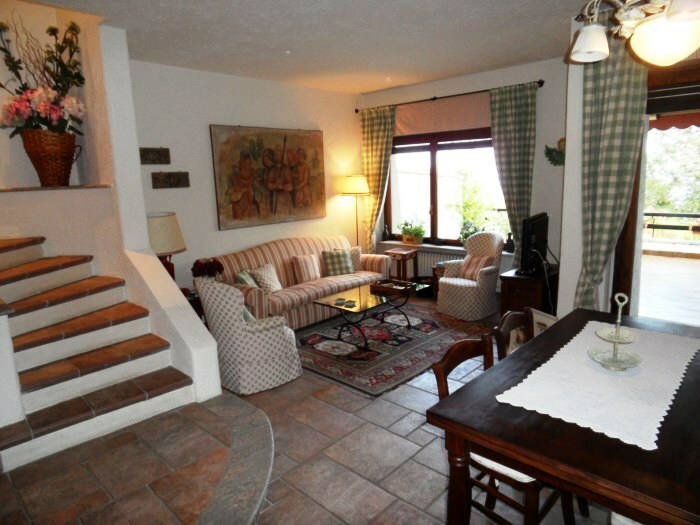 The condo fees, that include all the services, are approximately € 4,500 per year.